Its hard to imagine that water can be used to create electricity. The two are a dangerous combination that should never mix, right. True, so never bring your stereo in the shower with you. 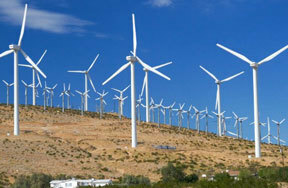 Hydro energy is electricity made using water. Sounds weird, right? Especially since it's dangerous to mix the two. The water never comes in contact with the electricity. How it works is, water flowing down a river is used to spin turbines inside a generator. Large rivers with fast flowing water work the best. 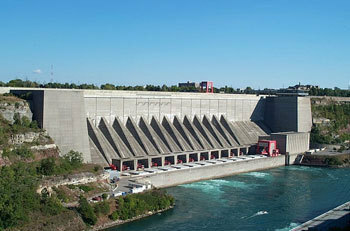 Canada is the largest producer of hydropower in the world. The United States is second. With the good, comes the bad. Hydropower doesn't pollute the air but large hydroelectric generating stations can damage the environment. The natural flow of water to the sea can sometimes be changed, which harms plant and animal communities along the way. 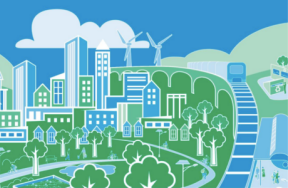 Like solar and wind energy, electricity from water is renewable. Water from rivers is a natural resource so it doesn't come with some of the problems other energy sources have, such as cost and insufficient amounts. Hydropower converts kinetic energy from falling water into electricity and never uses up more water than nature produces. Hydropower doesn't cost a lot of money. On average, the cost for hydropower operations and maintenance is only one-third the cost of a nuclear or a fossil fuel powered facility. That's not including fuel costs. Lower costs mean more jobs and also helps the economy. Another good thing about hydropower is it's flexible and reliable. 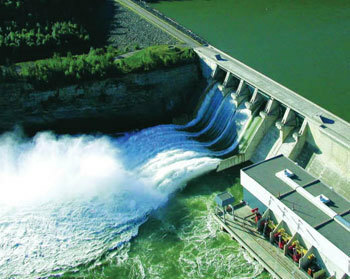 Hydropower can be turned on almost immediately to meet the fast growing electricity demands. Facilities can easily respond to emergency power situations (like when California had their power crisis) and provide constant energy with water. If you have a stream running through your backyard does that mean you could use it to create energy? Possibly. If you live near the ocean you might even be able to use the energy from waves to make electricity in the future. Tell us your electifying stories about energy. Ever been zapped before?